Brewer Description: (from website) You don’t always think of big DIPA’s when you think of Prairie, but we have taken the perfect blend of malts and hops to create this explosion of citrus and piney flavors and aromas. 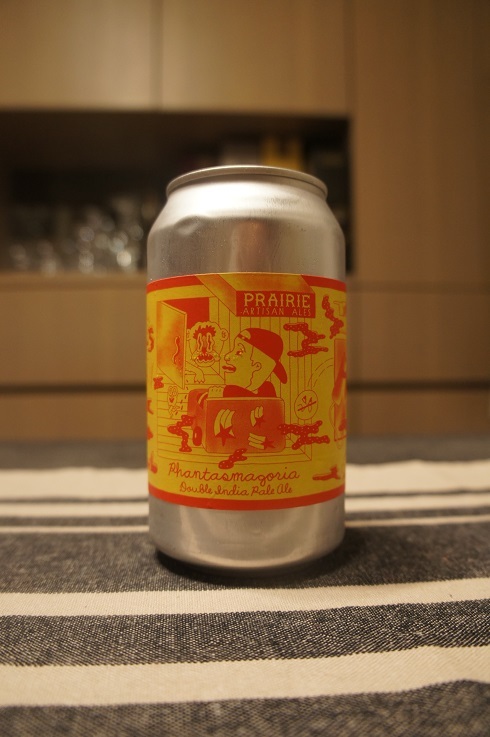 This beer is so good we had to make it a Prairie staple! Intro: A 12 fl. oz. can with no canned on or best before date other than a stamp of ‘PHANTAZ_24272’. Poured into a Lost Abbey teku glass. Appearance: A hazy golden colour with a two finger white head that had decent retention and left some lacing. Aroma: Mango, apricot, papaya, mandarin, orange rind, grass and pine. Taste: Lightly sweet and bitter, grapefruit, orange peel, pineapple and pine. Overall: A nice enjoyable DIPA with a good balance of sweet and bitter as well as citrus and tropical.